So You booked a lesson? Radical! If you aren't sure about the condition your bike is in, be sure to take it to your local mechanic for advice and a tune-up. If you've had your helmet since the 80's (or even just a few years), if it's been in a crash or two, or if you've noticed that it doesn't fit you well, it is time to replace it. We are going to add to the already vital information contained in your noggin, please don't risk losing it! We are big fans of knee pads and gloves especially and have found that most of our students appreciate elbow pads and shin guards while learning too. Your safety is our number one priority but it doesn't hurt to add some extra protection. We have found that flat (aka: platform) pedals, a pair of knee/shin guards, and sturdy flat-soled shoes make it safest to learn and practice during the skills sessions so we strongly encourage this set-up. We will give you tips and strategies for safely riding on flat pedals but keep in mind that everything we teach you on flat pedals can be translated back to your clipless (aka: clip-in) pedals. 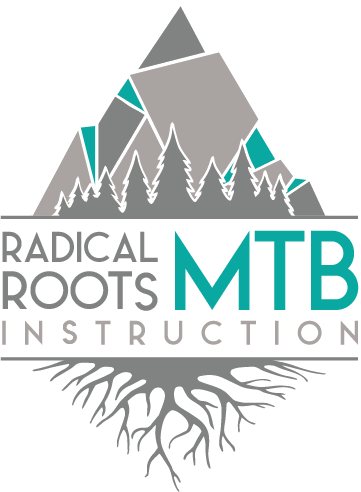 If you think that being on flat pedals for the trail riding portion of the clinic will hold you back from trying new things then we recommend starting the lesson on flat pedals and bringing your clipless pedals (and compatible shoes) so you have the option to switch pedals for the trail riding portion of the lesson. Not necessary but recommended for the trail riding portion of the lesson. Riding glasses, sunglasses (if it's sunny), goggles, or just some cheap safety glasses from the hardware store. 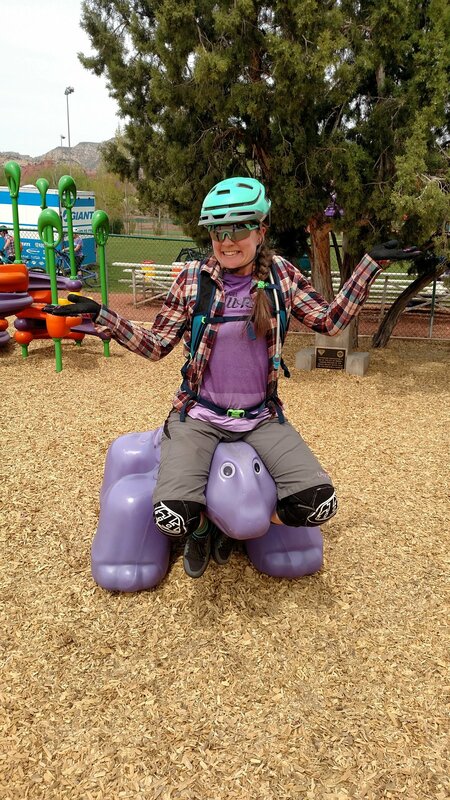 To maximize your fun and safe learning during the lesson we highly recommend that you can lower your seat post to get your saddle at least 3" out of your way while learning certain skills. The best option for this is a dropper post (like a RockShox Reverb) which can move your seat up and down with a button or lever at your fingertips. Another acceptable option is to have a quick release seat collar (as opposed to bolt-on) that allows you to easily and quickly drop and raise your seat. If you aren't sure about how to lower your seat please check with your local bike shop prior to your lesson. We get hungry just thinking about spending hours on our bikes. Plus we really like snacks. Our coaches should have some emergency supplies but all students should bring their own snacks and water. Mountain biking can be physically demanding and combined with potential adverse weather conditions can reduce energy levels significantly. We also recommend bringing replacement inner tubes in case you get a flat tire and some extra layers of clothing for warmth and protection from adverse weather. Learning is an arduous process and we do our best to make it enjoyable. Come prepared to receive constructive corrections to your technique and a desire to learn new things and have fun.